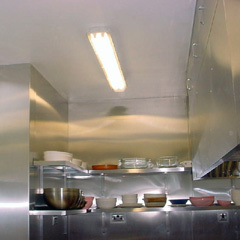 E-Teq is known as a specialist manufacturer of stainless steel catering equipment such as splashbacks, bain maries, sinks and prep tables for restaurants, cafes, hotels and bars. 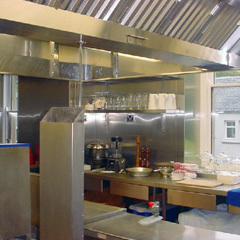 We understand that many kitchens may require non-standard sized equipment so here at E-Teq, we make bespoke stainless steel catering equipment to your exact needs. 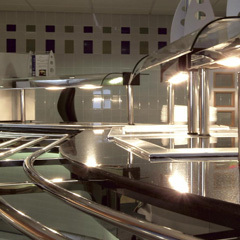 Our stainless steel fabrications include: servery counters, splashbacks, heated gantries, hot cupboards, stainless steel sinks, tables and shelving. 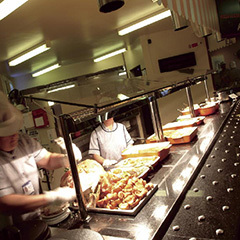 Whatever you’re looking for, we can make it!